This September saw a major milestone in the Coronation Meadows project with the seeding of the 90th meadow in the 60th UK county. 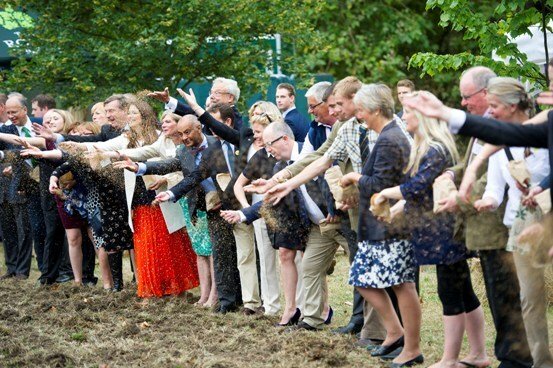 With the project having been initiated by His Royal Highness The Prince of Wales to mark the 60th anniversary of The Queen’s coronation it was fitting that the 90th meadow was sown in an acre of The Green Park central London, within sight of the grounds of Buckingham Palace, in this year of The Queen’s 90th birthday. 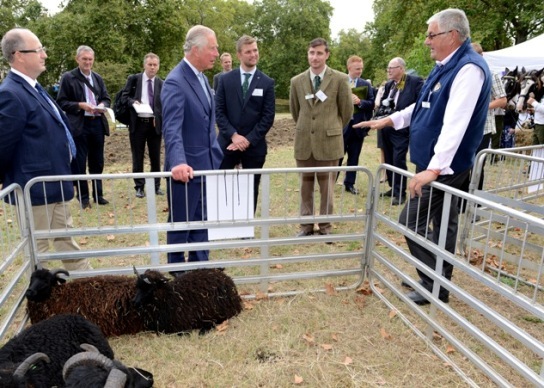 His Royal Highness attended the event, hosted by Plantlife Vice-president Rachel de Thame, along with an eager group of meadow makers comprising representatives of donor meadow owners, local partner organisations, volunteers, native breed grazing animals and funders including the main project funder Biffa Award. The Prince joined local children in spreading seed collected from the West Sussex and Greater London donor Coronation Meadows, before chatting with the assembled guests. Passing Londoners and tourists were surprised to see not only royalty but also working shire horses and a hackney pony along with North Ronaldsay and Hebridean sheep as part of what was a colourful event in the area in front of the bomber command memorial. 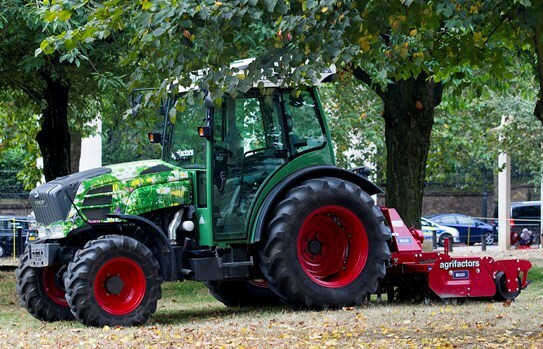 The shire horses dragged a harrow to create bare ground close to the marquee while the wider site was power harrowed by tractor overseen by project steering group member and Weald Meadows Partnership and HWLT Trustee Keith Datchler OBE. Even the tractor had dressed for the day with the contractor Agrifactors giving the bonnet a wildflower wrap. The meadow, which has been christened The Queen’s Meadow in honour of Her Majesty, will be retained by the Royal Parks in perpetuity and it is hoped will develop an attractive show of meadow wildflowers, highlighting the work that has been happening through the project across the UK to bring meadows back to both town and country.